Patented sensor, battery, and electric motors give developers creative options in product design and application. With U-Kart’s flexible modular hardware—you dream it, you build it! Its component simplicity allows the designer a custom-solution at a fraction of the cost. 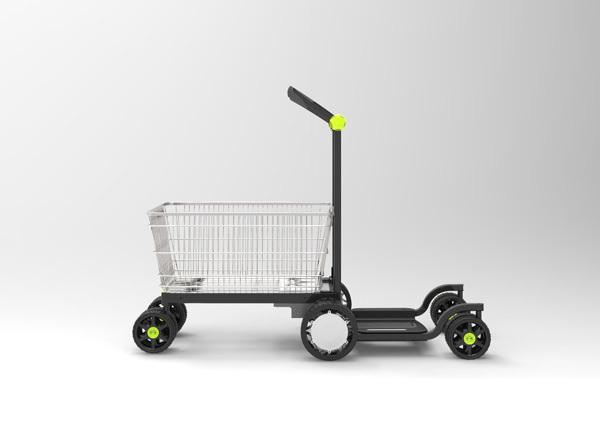 The U-Kart’s modular design concept opens up product opportunities in a variety of industries. Possible applications include loaders for commercial and warehouse environments, such as an electric dolly. Additionally, personal vehicles like electric shopping carts, strollers, or personal mobility vehicles are now possible. The U-Kart provides any of these options along with the energy savings that come from using pure electric vehicles. The U-Kart provides model options that include power assist, remote and follow mode. When a user enables follow mode, the unit communicates with a handset worn by the operator, adjusting to distance, angle, and direction of the operator. Use this mode when distributing materials or parts to various workstations. Operating the unit hands free gives the operator freedom to carry a tablet or device to manage inventory as it’s distributed. 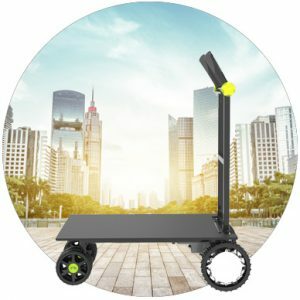 Keep your accounting up-to-date and in real time at each distribution point along your company’s internal supply chain—making the motorized cart great for manufacturing, shipping, or warehouse operations. The battery design of the U-Kart allows for easy removal and replacement of battery consoles in regular rotation with your charging schedule. Simply unplug the battery and pull it out by it handle, replacing it with newly charged battery. Quick battery swapping means your unit is never down from a lack of power. Reduce repetitive tasks and labor time with programmable software that tells the unit where to go on the warehouse floor. Two autonomous navigation modes are available to the operator: line tracking and GPS programming. Line tracking can be enabled allowing the unit to travel a consistent path from one area of your business to another. Use tape to plot out the course on your warehouse floor and allow the U-Kart’s sensing technology to follow the line. The unit moves on its won from one work area to the other with little to no human interaction. For more complex routes, use the U-Kart phone application to plot GPS coordinates on your warehouse floor or business campus. Compatible with iOS and Android, the U-Kart app leaves the operator in touch, providing feedback from the unit on its route, location, and time in transit. The app’s consistent mapping updates keep the unit on course and your deliveries on time. To ensuring the unit moves safely from one location to another without interference, you can activate the Obstacle Avoidance (OA) function to avoid obstacles. On encountering an obstacle, whether a person or object, the unit goes into standby mode until the obstruction is cleared. An alert notifies the operator when an obstacle prevents the U-Kart from reaching its next location. 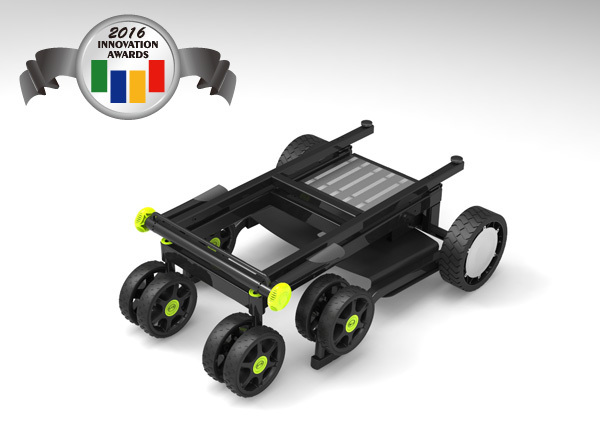 The U-Kart’s unique technology profile attracted the attention of judges who awarded the product a bronze medal at the EV Taiwan Technology Show held in Taipei, Taiwan. Leon Liu received the award on behalf of Passion Mobility, FTR Systems’ Asia branch office. The U-Kart competed against 100 other products representing four different product categories. Competition for the awards was by invite only. To read more about the competition and the EV Taiwan Show, click here. Founded in 2007, FTR Systems focuses on creating mobility products using their patented technologies of motion sensors, electric motors, and lithium batteries. Current targeted markets include golf and personal transportation industries. Our products sell in markets around the world through our network of distribution partners and retailers. Offices in the U.S. and Asia service our global outreach. Interested in how the U-Kart can fit the needs of your home or business? Contact us today for more details.